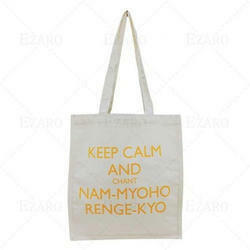 We are one of the leading manufacturers, exporters and suppliers of Fancy Cotton Bags. The offered fancy cotton bags are specially designed and printed for serving as carry bags for the shopped items. Our supplied fancy cotton bags are easily available at very cost effective and affordable market selling price. Being a customer oriented enterprise, we are engaged in providing a wide array of Natural Cotton Bag. We are a well-distinguish firm that is known to offer a superior quality assortment of Cotton Carry Bag to our customers. 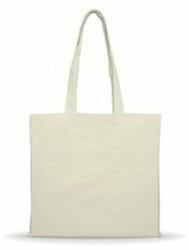 This Cotton Carry Bag is valued amongst our clients for its superior quality and high strength. Besides, these products are precisely examined on several quality measures by our quality team.